VMware Learning Zone offers one year of unlimited access to VMware cloud-based training led by top VMware experts. Training sessions are available for vSphere 6, Virtual SAN, NSX, and more. 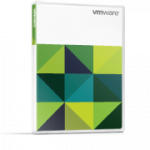 Certification Exam Prep packages are available to help you prepare for VMware Certification exams more efficiently. Objective by objective review, combined with sample questions streamline your exam review. VMware Learning Zone Save 15%!